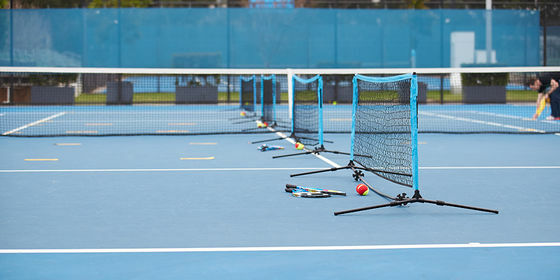 ANZ Hot Shots Tennis programs are the perfect way for kids aged 3 to 10 years to get into tennis. Hot Shots tennis uses modified racquets, courts and low-compression balls to help kids experience a greater level of success and enjoyment right from the first time they step out on court. Kids progress through 2 stages: Red and Green. Guided by our fantastic Tennis Program Officers and under the supervision of qualified Tennis Australia coaches, kids are encouraged to develop at their own pace, moving on to the next stage when they are ready. To download an enrolment form for our Hot Shots Tennis Program for kids please click here. For more information regarding our Hot Shots Tennis Program please contact the centre on 03 9213 1400 or lyndal.blackman@ymca.org.au.